Rev. 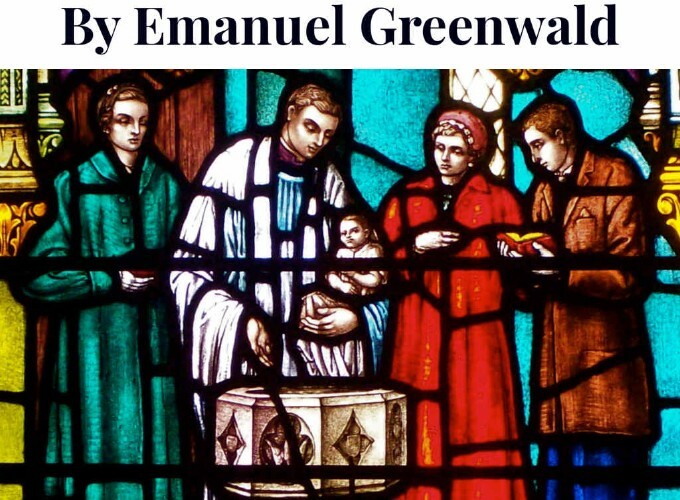 Greenwald was born near Frederick, Maryland, Jan. 13, 1811, and was, like the prophet Samuel of old, dedicated by his pious parents to the holy office from his earliest infancy. His theological studies were pursued under the private supervision of Rev. David F. Schaeffer, who similarly prepared no less than fourteen other young men, in his own parsonage, for the work of the ministry. 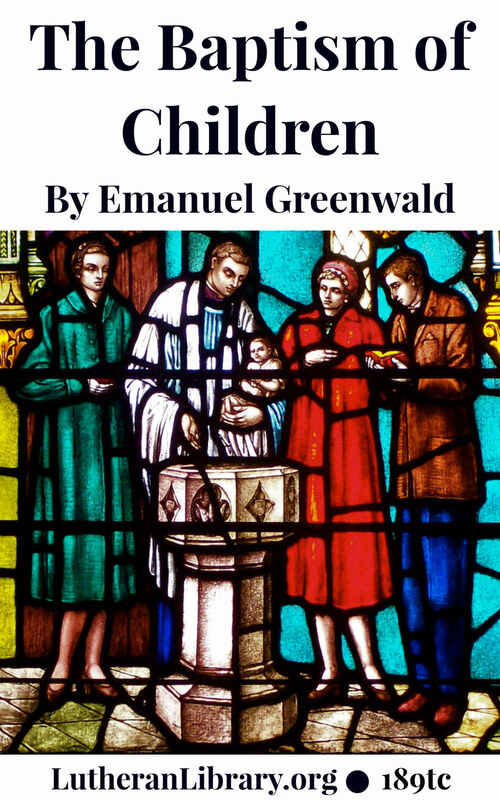 “In many localities our members live in the midst of those denominations who oppose the Baptism of children, and they need aid to enable them to defend themselves from attack, as well as to strengthen their own convictions of truth and duty. Such aid, it is hoped, this little manual will afford, which is prepared with special reference to their needs. Do children have a right under the Gospel to Church-membership by Baptism? 1. The Church-membership of children was directly instituted and positively commanded by the Lord himself as far back as the time of Abraham, in a covenant made with him, called expressly the Gospel, or covenant of grace, which Church-membership was not only not revoked by Jesus Christ, but was confirmed and established by him. 2. Children are included in the promise connected with that covenant. 3. Children are included in Christ’s invitation, and declared to he fit subjects for the New Testament Church or kingdom. 4. Children are included in Christ’s original command commissioning and authorizing his ministers to administer the Sacrament of Baptism. 5. Children are the lambs of Christ’s flock, as their parents are the sheep of his fold, and, therefore, their relation both to the Shepherd and to the flock forbids that they should be excluded from the fold. 6. Children were included in the host of the Israelites as they were baptized unto Moses in their passage through the Red Sea, and which is declared to he an example or type of Christian Baptism. 7. Children were included in the numerous family or household Baptisms that are recorded in the Scriptures. 8. Children are included in the uniform practice of the universal Christian Church from the time of the apostles to the present time in the administration of Baptism. 1. All persons who were baptized in their infancy may he satisfied with their Baptism. 2. It is the duty of all parents to present their children for holy Baptism. 4. Baptism is a means of regeneration.